I love food. Fast food, cooked food, food food food – I love it all. And when I’m out of town visiting friends or family you can bet I’m looking to eat out at a local restaurant. McDonald’s and Subway are great and all but what could beat a local diner tucked behind an alley or a bar hidden in an underground cellar? When I am searching for such places, I use the smartphone app Urbanspoon to help me find the location my stomach desires. Urbanspoon is the smartphone restaurant information and recommendation service app intended for discovering well-rated restaurants in the nearby area. If you’re out of town with friends and looking for a restaurant to eat a delicious meal, Urbanspoon is the app you could use to find that restaurant. My favorite feature is the “restaurants nearby feature.” By clicking this, you are given numerous choices of nearby restaurants in order of distance to pick from — and a rating is shown beside each restaurant listed. So, if a restaurant is rated 8 percent, it means that particular restaurant’s food and service will be extremely unpleasant. Or you can simply use the search option by typing in the name of a restaurant and pressing submit. Urbanspoon will then search for the nearest location of the restaurant you have just typed in. “Shake” is another fun feature on the app. “Shake” is a lot like a slot machine, meaning you have no idea what results you’ll get. Just click on the shake option and once you’re in the “shake” page, shake your phone. The app will generate random restaurants for you to choose from. You can narrow your search by using the filter option. This allows you to find a restaurant nearby, whereas “shake” could give you a location several miles away. 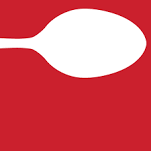 Overall, Urbanspoon is a terrific phone app with reliable reviews and satisfying results. Urbanspoon is free to download. I highly recommend all food enthusiasts to add the app to their phone before their next trip out of town.